Q. I see in reading your FAQ and other info “mechanically tuned” keeps getting mentioned but I never really saw where it is defined or explained. Can you please explain? Do you have a more detailed write up to explain? Also explain why being mechanically tuned somehow negates making a shorter cable from a longer one? A: The phrase “mechanically tuned” means a few different things. In some cases when we talk about it in our literature, we are referring to our connectors. Some of the connectors we use are mechanically tuned to match the mass of the conductors we make. However, typically “mechanically tuned” refers to the actual length of the cables we make. We mechanically tune the lengths of the Norse 2, Reference, and Supreme Reference cables we build. When building a low capacitance cable, where conductors don’t touch each other, you can actually change the characteristics of the resonant peak by altering the conductor’s length…think guitar string. So if we build a 2m speaker cable we find a length (based on the mass and material used) that sounds better and cut it to that length. All products that are mechanically tuned are technically a bit longer than we say. We use tuned lengths in most products up to 4m. After 4m, the electrical properties override the mechanical ones so it isn’t necessary. So if you have a 5m cable, it is exactly 5m. If you want that 5m cable cut down to make two 2.5m cables from it, it is impossible to do that and maintain Nordost’s mechanically tuned lengths, because the shorter cables that you want to make should be longer than the 2.5m lengths being asked for. A: The QB8 will absolutely benefit from having Sort Kones underneath it, because it drains the QBASE of the vibrations being generated from the electrical currents running through it. Even using the AC version will result in an audible improvement. Q: Is it better to use a QK1 or QV2 in an open wall socket? A: Either the QK1 or QV2 can be used in an open wall socket. However, I would advise you to consider the following: if you are using a power conditioner in your system, it is not ideal to plug a QK1 or QV2 into the wall socket. They are more effective when plugged into the power conditioner itself or another socket further down the line. 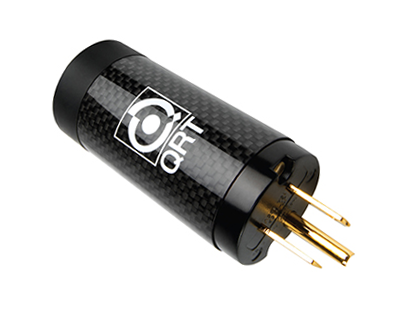 QV2s make a more audible change because the frequencies that they impact are easier to hear. Also I feel like it is worth mentioning that QV2s work better in increments of two, whereas QK1s work in any quantity. One QV2 works just fine, but the incremental improvement more than doubles when using two. 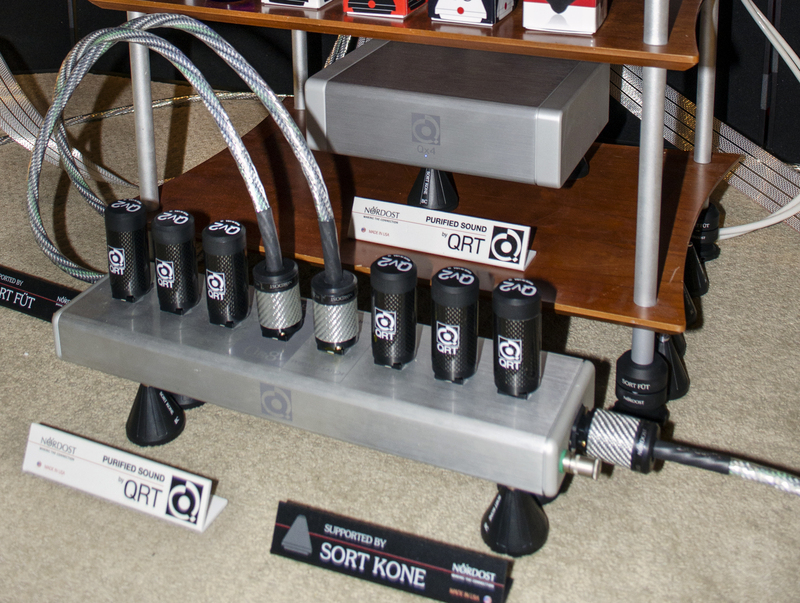 This entry was posted in Helpful Hints, Nordost's Technical and Product Blog by Nordost. Bookmark the permalink.